Opened but hardly used. In 100% fully functional condition. 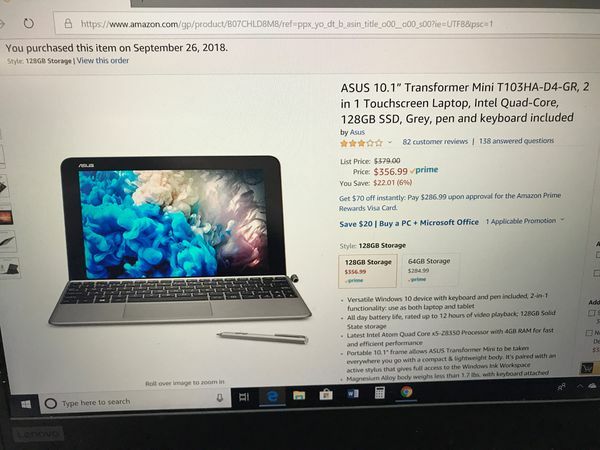 INCLUDES pen and keyboard! 128GB SSD version with Intel Quad Core processor. I just don’t need it after all.